We have teak and terrazzo balls in 3 sizes, bath trays, terrazzo bathroom stools to match baths and basins. 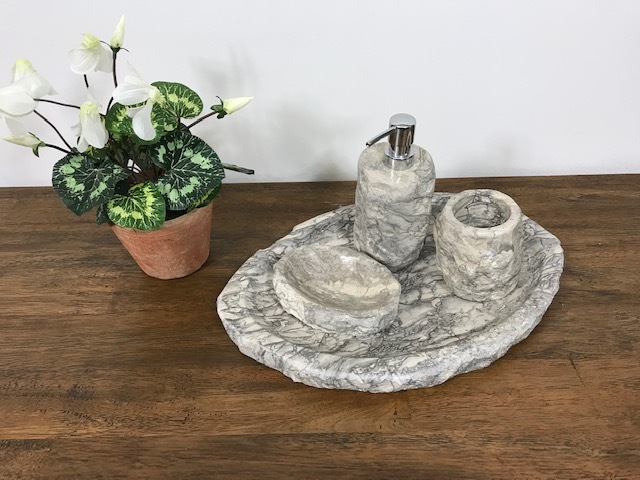 Shampoo dispensers and soap dishes made from solid rock. We can create mirrors to match your vanity in your desired size and colour.